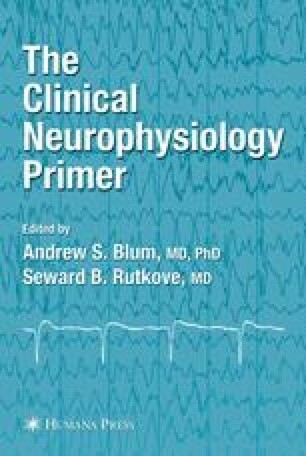 Despite the advances in neuroimaging technology in recent decades, the EEG is still the cornerstone of diagnostic testing for patients with epilepsy, and it remains the best real-time assessment of cerebral physiological function available. For patients with suspected seizure disorders, the routine EEG is used by clinicians to identify the presence of interictal epileptiform discharges that serve as a marker for epilepsy, and more prolonged ambulatory or inpatient EEG monitoring is used to record completseizures. This chapter reviews interictal epileptiform abnormalities, ictal patterns observed in association with seizures, and periodic epileptiform discharge patterns.